The classrooms have been cleared and the builders have moved in. 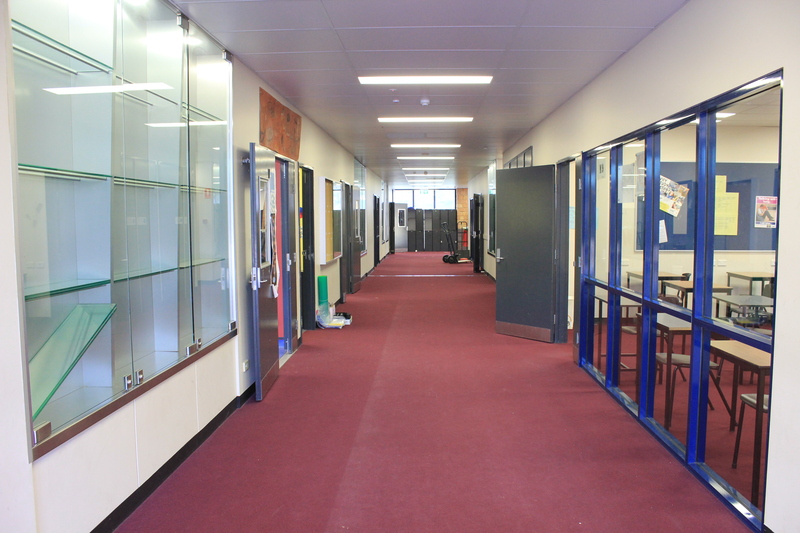 The STEM Institute is under construction for an upgrade to be an open plan design space where secondary students can collaborate on innovative projects. The new STEM building, opening early 2018 will have the latest virtual and augmented reality spaces, robotics, 3D printing, drones, infinity walls and innovative facilities which will cater for all year groups in Digital Technology, Future Thinkers, Arts, STEM, Innovation and many more subjects and clubs that St John’s has on offer. The design of this new space will help support St John’s focus on Innovation which every student will have access to. We look forward to opening this new facility to our staff and students with in our 25th Year celebrations.